China and the United States are engaged in a trade war over technological superiority. China’s “Made in China 2025” industrial plan seeks to transform its economy from a low-cost manufacturer into a high-tech power dominant in advance industries. Like the United States, European countries, especially Germany, are starting to feel the effects of the Chinese plan. “Made in China 2025” poses a direct threat to traditional German industries, such as the auto industry. The big concern is having Chinese investors gaining controlling interest in European firms, acquiring European ideas and technologies. On February 5, 2019, Peter Altmaier, Germany’s Minister for Economic Affairs and Energy, launched the “National Industrial Strategy 2030,” an effort to make sure that German firms remain in German ownership. The strategy seeks to create European economic giants capable of competing against Chinese and American corporate behemoths by using state funds to acquire companies’ shares or provide financial aid to support the necessary mergers. Germany’s new Christian Democratic Union (CDU) leader, Annegret Kramp-Karrenbauer, favours a more active industrial policy, a stark contrast with Merkel’s advocacy for globalization and corporate competition free of state intervention. As such, once Merkel leaves, it can be expected that the CDU is going to be more in favour of intervening in the economy. This anti-market initiative can come as a surprise, given that Germany is usually a stark supporter of liberalism and the free market. This shift towards industrial planning is seen as a pragmatist response to Chinese acquisition of German companies. Back in 2016, Germany’s leading robotics group, Kuka, was sold to Chinese appliance-maker Midea. Furthermore, in February 2018, Geely, a Chinese global automotive group, announced that it is now the largest shareholder in Daimler, a German automotive corporation and owner of Mercedes-Benz. Geely also owns Volvo Cars and Lotus. Geely’s strategy is to acquire established automakers and then pump in more funds to modernize the factories and pursue further research on electric and autonomous vehicles. Li Shufu, the founder of Geely, wants to reach the forefront of the auto industry and rival Toyota and Volkswagen. The Daimler transaction represents the first instance of Geely infiltrating the German auto industry. 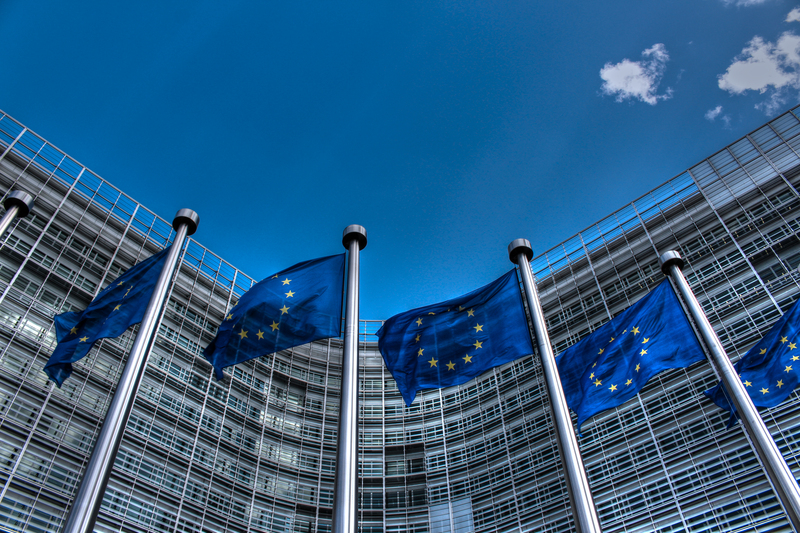 Moving forward, France, Germany and Italy are looking at changing the antitrust regulations enforced by Brussels. The three European countries are seeking a more rigorous screening of foreign takeovers of EU companies by laying the grounds for an EU-wide mechanism. This mechanism would be similar to Washington’s Committee on Foreign Investment which has already blocked various business deals, preventing Chinese companies from acquiring American ideas and technologies. Back in December 2018, France and Germany’s Economic Ministers, Bruno Le Maire and Peter Altmaier, met at the “Friends of Industry” ministerial conference in Paris. They both agreed on enhanced cooperation on AI and battery projects. In addition, 18 EU states issued a joint statement recognizing that European industries are at a crossroads and should adopt new policies to ensure that the economic bloc remains competitive and is better equipped at facing challenges of the 21st century. However, changing the EU’s industrial policies will not be easy. Inspired by their renewed relationship laid out by the Treaty of Aachen, Germany and France’s attempt to create a European champion in the rail sector, by merging the French’s’ Alstom and Germany’s Siemens, has already hit a hurdle. The European Commission’s antitrust regulators have blocked such merger on the ground that it was “incompatible” with the internal market and would harm competition. For Germany’s new “National Industrial Strategy 2030” to have some traction at the EU level, it will first need to gain political support at the domestic level. The German left is traditionally reluctant to use the state’s resources to support big businesses and would prefer a free market solution to the problem. Also, EU states will have to be ready to face possible Chinese backlash which could be painful in the long run, as China is the EU’s second-biggest trading partner. The recent protectionist lurch by some European states is a direct response to Chinese firms investing heavily abroad and follows what the United States is currently doing. In contrast with the United States, European countries also have to deal with EU institutions and are thus severely limited in terms of options to respond to foreign takeovers. However, with the EU’s two biggest powers, France and Germany, supporting the implementation of a more protectionist industrial strategy, the EU will face heavy pressure to change its approach. One thing is certain: whether Europe likes it or not, it has likely joined China and the United States in their trade war. Featured image by Thijs ter Haar, via Flickr Creative Commons.